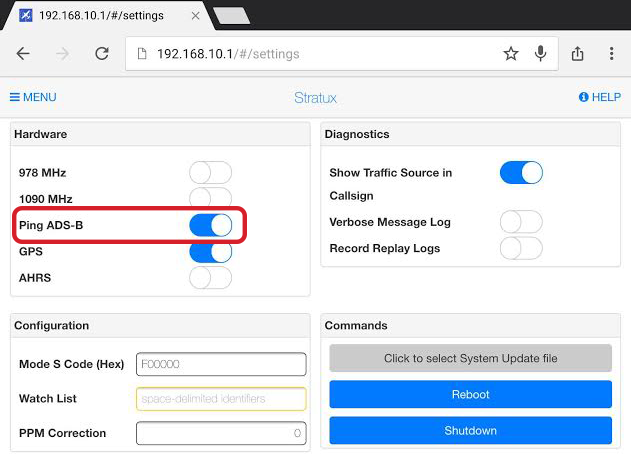 Note: This guide is for an existing Stratux installation, the Stratux develpment page located at http://stratux.me/ contains current release information and instructions for assembling your Stratux device. If you are running 1.1 or later there is no need to update Stratux to use pingEFB. 3. Connect your computer or device to the Raspberry Pi running Stratux. 7. A message may appear as shown below. Please wait while the Stratux device restarts. 8. After the Stratux device has restarted return to the Settings page, toggle off the 978Mhz and 1090MHz SDR options and toggle on the Ping ADS-B option. 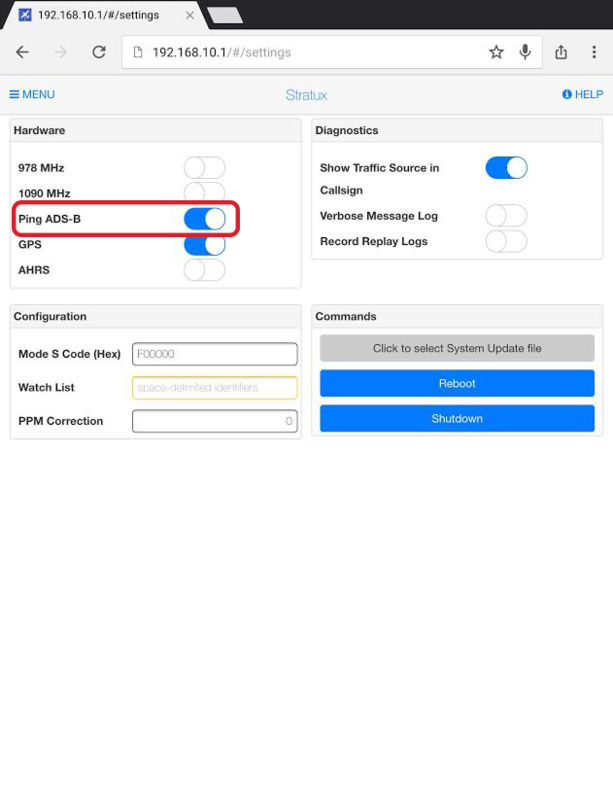 If you do not see Ping ADS-B force a refresh of the settings page or clear your browser cache on your device and reload the page. 9. 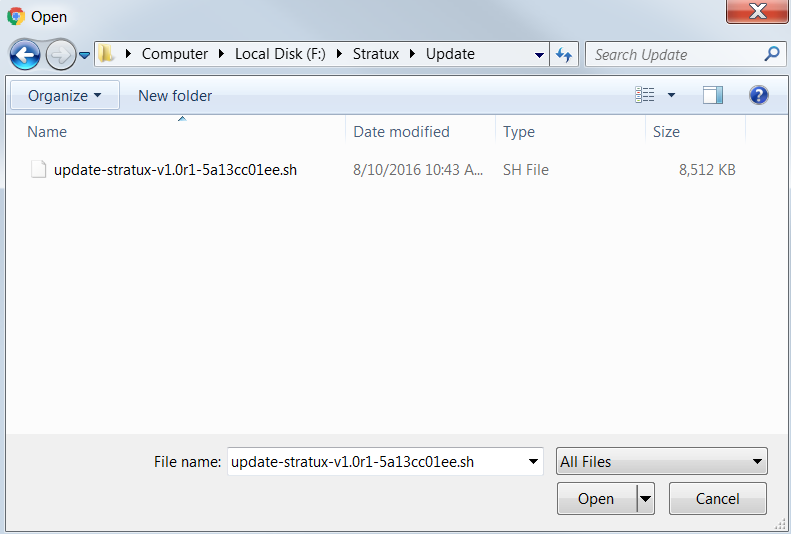 You should now begin visualizing traffic information in Stratux and in your compatible Electronic Flight Bag. For additional assistance please submit a Support Request.